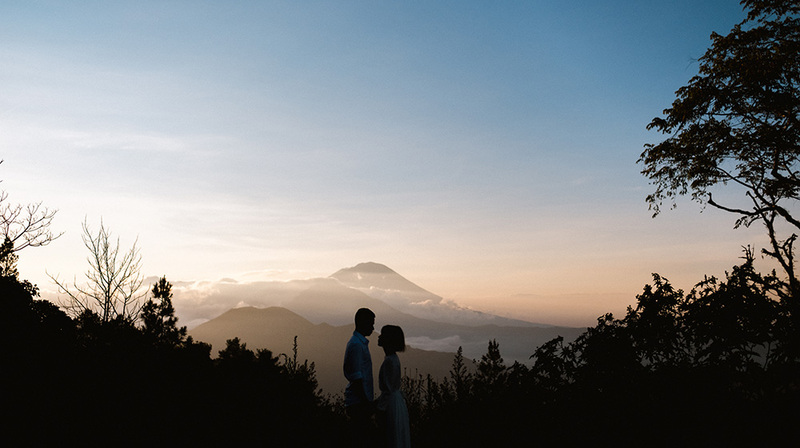 The island of Bali is rich in beautiful scenery. 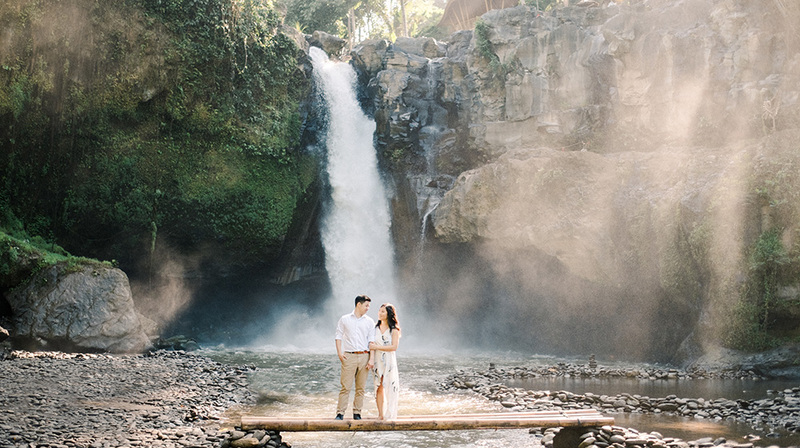 You can find sandy white or black beaches, cliffs, mountains, rainy forests, waterfalls, and lakes – basically it has a huge variety of landscapes which is a dream for a photographer to do Bali engagement photos. It’s hard to believe that all this is located on one island, Bali. 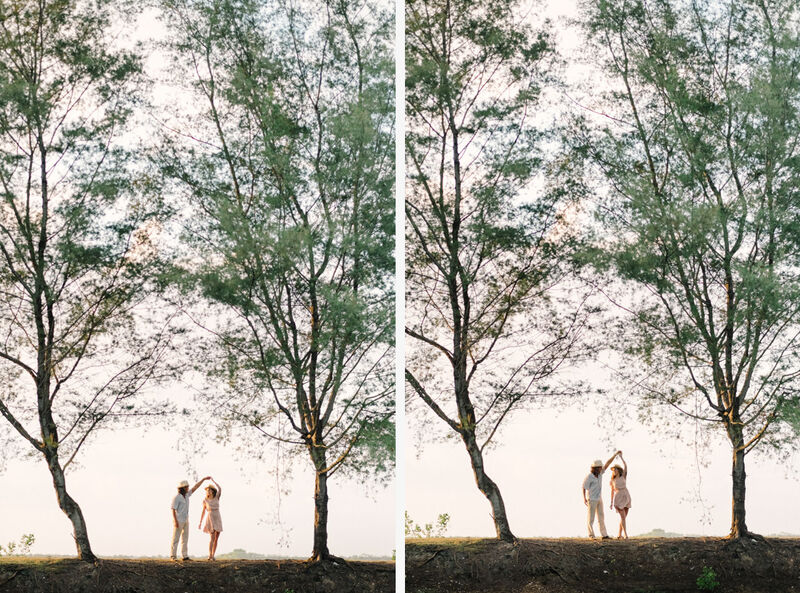 For this session, I choose the beach at Serangan Island and the famous monkey forest in Ubud to do the Bali engagement photos of Olga & Andrei, the fun couple from Moscow, Russia. We also do the photo session at a traditional Balinese house when we pass it on our way. 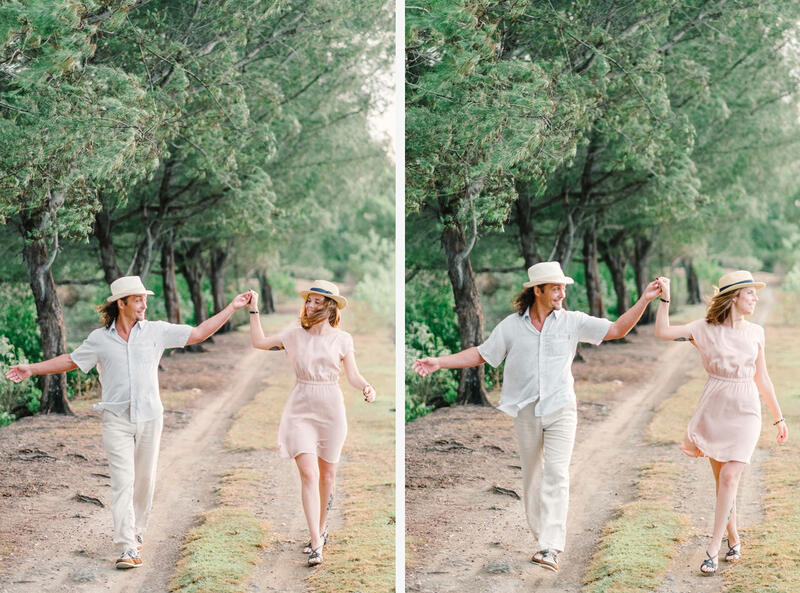 With the gorgeous couple wearing casual outfits, and the sincere emotions of this loving couple – for whom Bali is a special place – the results are simply magical. Olga: Thank you so much for the pictures, they are amazing! Keep on looking everyday, can’t get enough. If any of our friends is going to visit Bali, we know what photographer we’ll surely recommend. Good luck to you and connect us if you’ll be in Moscow: we’ll be happy to be your guides. I took some of this Bali engagement photo session with Film camera, Fujifilm 400h on Contax 645.